What exactly is an online course, and what makes a good one? 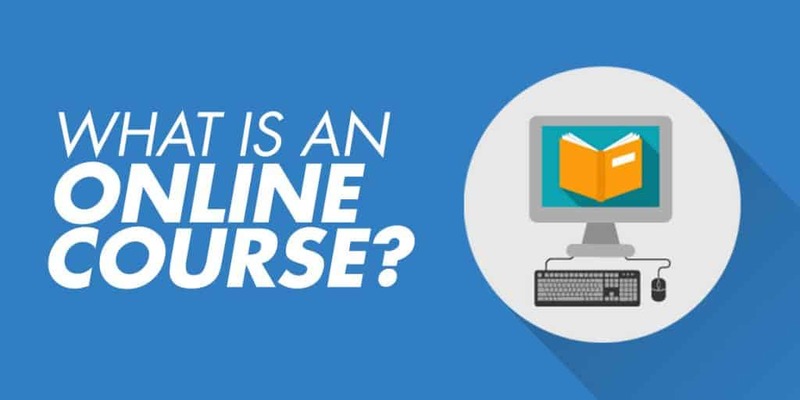 What is an online course? An online course is a way to learn a new skill or gain some new knowledge from the comfort of your own home. They can either be paid or offered for free. Some are offered by educational institutions, while others are produced by experts in their field. The most important thing for an online course is for it to be engaging and to deliver a clear outcome. In this article, I'll explain exactly what an online course is. As well as what makes a great online course, and some examples of different online courses. There are many different forms that an online course can take. At their most basic level, the thing they all share in common is that they teach knowledge or skills to the person taking them. Online courses are delivered via a website and can be viewed on a mobile device, tablet, or web browser. This lets students conveniently access them anywhere and at any time. They can take many forms, including educational videos, audio files, images, worksheets or other documents. Most online courses also have discussion forums, community groups or messaging options, enabling some way for students to communicate with each other and or the teacher. Typically, lessons are designed and pre-recorded before being uploaded and arranged on the course website in to a collection of lessons and modules. They are usually laid out in a sequential order for the student to follow. There may be some form of grading to measure a student's performance and achievements, or the course might be completely self-guided. Above all, an online course needs to be engaging so that the person learning enjoys the lessons and is able to retain the information and apply it in their own life. A great course is one where the student feels invested in the learning process and has a sense of community with fellow students and the teacher(s). For a course to be successful, it should have an interactive component that helps bring the learning alive. What Makes For A Great Online Course? Online courses vary widely in quality. Some are obviously thrown together in an afternoon, or are super boring and don't provide the education you expected. Others are on par with lessons you'd get at some of the world's most prestigious universities, and some will even teach you things you can't find in any conventional educational institution! Above all else, a course needs to have high-quality content and deliver what it promises. Without this, you might step away from an online course not feeling like you received the knowledge and skills you expected to. Or it might just come across as bland and boring without any real insights. High-quality content makes learning something that you want to do, while low-quality content makes it into a chore and makes it difficult to retain what you're trying to learn. The best online courses will have content that an expert in the field would recommend, whether it's taught in an online format or in person. We aren't limited to just textbooks and chalkboards anymore. With technology, there are so many great and engaging ways to present information to students. An online course should use things like videos, podcasts, interactive web pages, and even mobile apps to really engage students. That makes learning much more enjoyable than simply reading a long document. Everyone learns a bit differently. Some people are very visually oriented, while others need to hear information for them to retain it. Integrating a variety of mediums will make sure every student has some way of learning in the course that works for them. But don't just add multimedia for its own sake. It needs to be done purposefully in a way that makes sense. An online course needs to be finely tuned so that students are neither overwhelmed nor bored. Information should be broken down into lesson sizes that make sense. If there any projects in the course, enough time needs to be given to complete them to avoid making students anxious or stressed. Smaller assignments should have a reason behind them and not simply be assigned to keep students busy. In a classroom setting, there's a lot of interaction not only between students and their teacher but among their peers as well. That's one thing that can be lacking in an online course if not properly planned for. Online courses can make students feel isolated if not implemented correctly. It can be as simple as a message board with an off-topic section where students can chat. There should also be a way for students to ask for guidance if they have questions or run into any problems. The best course in the world is no good if it's difficult to navigate. Students shouldn't need to contact tech support to figure out how to access their information. The layout should be easy to follow and clearly marked. There shouldn't be any doubt about what a student has to do next, and any resources or related information should be easily accessible. Sometimes courses can try to be too flashy or use the latest technology, which means students might need to sign up for external services, download a bunch of plugins, or other things that can degrade the user experience. Make your course as universally supported and reliable as possible. Online courses work best when they give students some autonomy to make their own decisions and be responsible for their own education. Try to give your students freedom and don't overly micromanage them, but at the same time it can be a good idea to have follow up email sequences alongside the core course material to address common roadblocks and get feedback about how students are getting on. There are tons of different kinds of online courses out there. Here are just some of the online course options you might come across. Colleges and universities provide some of their courses online. This lets students have flexibility of earning credits toward a degree in their spare time while still working a full-time job. Or it might be a supplement to attending school full-time. These courses meet the objectives and requirements of the school administration. MOOC stands for massive open online course, and it refers to a course made available over the Internet without charge for anyone to enrol in. This kind of online course can be academic, created by university professors and following what traditional university coursework would look like. Some schools have even posted entire semesters of lectures online for free access. You might choose to take this kind of course to learn something like video editing or photography that you want to know, but don't necessarily want to go back to school for, or perhaps if you're keen to learn some fundamental knowledge in a specific area but can't afford to go to college. Many companies now use online training courses to get new hires up to speed instead of devoting staff resources to teaching them. Companies will often outsource production of these courses to a third party company. These courses can cover things like workplace safety, customer service, onboarding, sexual harassment training, and other items that employees need to learn before they begin work at a new company. These websites are focused on providing a wide range of different online courses taught by a range of different teachers. Some like Khan Academy offer free courses in a variety of educational topics like geometry, calculus, chemistry, world history, and more. It can even prepare you for tests like SATs. Others like Coursera primarily connect you with online courses offered by educational institutions for a price. Others, like Udemy, are basically a marketplace for courses on everything and anything and are open for anyone to create a course on and sell it. Check out this article for examples of other e-learning sites like Udemy. Some people offer their own online courses directly through their website or an online course platform like Teachable or Kajabi. A famous YouTuber might have a paid course on their website teaching you how to make great YouTube videos. A digital marketer could have an online course about creating successful Facebook advertisements. Even Gordon Ramsay has his own masterclass where you can learn to cook from him online via video lessons. This is a huge and growing area of online courses and there are people teaching online courses on all sorts of niche subjects. Check out this article I wrote with more than 50 examples of people teaching various different unusual topics like hula hooping and tattooing. What is the difference between a synchronous and asynchronous online course? A: Synchronous means “at the same time.” A synchronous course is one where the class takes place at a specific time and all students watch it at once. Normally this takes the form of a livestream where a teacher is sharing information in real-time. This is useful for interaction and question & answer periods, but isn't very flexible for those with busy schedules. In contrast, an asynchronous course is one where students go through the lessons and study at their own pace. All learning material is recorded or presented ahead of time and can be accessed whenever a student has time. Even in asynchronous learning, there is usually a set of weekly or monthly deadlines. What is hybrid distance learning? A: Some schools and other institutions offer courses will have hybrid learning. This means that some or most of the learning is done through online courses. But you might meet once per week or month for an in-person class. Tests and exams are often conducted in person as well.